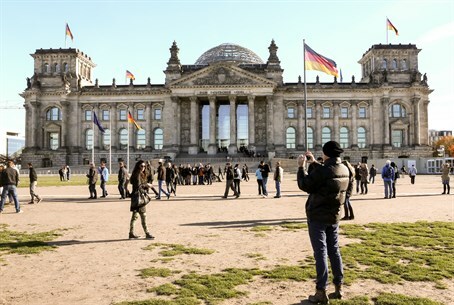 Despite claims of 9,300 Israelis wanting to leave for Berlin, figures reveal emigration rapidly shrinking - 2012 figures lowest in history. Organizers of the Facebook protest urging Israelis to move to Berlin have claimed there are 9,300 Israelis who want to emigrate to Germany - but the statistics tell a different story, in which the number of Israeli émigrés is in fact rapidly shrinking. In 2012, just a year after the massive wave of social protests that shook Israel, Central Bureau of Statistics figures reveal the rate of emigration was the lowest since Israel was established in 1948, with a rate that is low even in comparison to other OECD countries. The figures are "low compared to (the) tens of thousands of Israelis whom we are told are going around Berlin eating Milky (pudding)," Hebrew University Prof. Sergio Della Pergola told Haaretz on Tuesday, referencing the dairy treat said to be three times more expensive in Israel than Berlin. "The ‘battle over Milky’ is more an expression of a mood, but it isn’t really backed up by facts," Della Pergola said. Indeed, the number of emigrants in 2012 declined to 15,900, and figures from this April show a quarter of those have returned or given a date when they intend to return. While the majority of emigrants are young university graduates with needed skills, the vast majority came to Israel in the aliyah (wave of immigration) from the former Soviet Union in the 1990s. Taking out the Soviet immigrants, a mere 5,700 Israel-born Jews emigrated in 2012. As for the call to Berlin, which educator Avichai Shikli told Arutz Sheva on Tuesday was chosen as the focus of the Facebook campaign in a blatant attack on Holocaust survivors as "a knife in their hearts," only 3,065 Israelis were living in the German capital as of 2012. And while there has been much talk of moving to Europe or North America, the professor remarks that the number of immigration to Israel from Western Europe is at an all time high, with the number from France set to pass 5,800 for the first time since 1968. The overall trend has been positive for Israel in terms of the ratio of Israelis leaving and those returning. In 2013, there were 2,200 more Israelis who had left than had returned, down from 2,400 the year before. To appreciate the figures, a look back between the years 1986 and 2008 reveals there were a full 10,000 more Israelis leaving than returning per year, and between 1983 and 1995 that margin had widened further to 15,000 a year. "During this time, the population of Israel doubled from 4 million to more than 8 million. The drop in the ratio of emigrants to the size of the population is amazing. There were similar figures in the sixties and the fifties, but then Israel’s population was much smaller and the emigration was much bigger proportionately than it is today," noted Della Pergola. The key factor behind possible emigration from Israel is the employment rate, according to the professor, who adds "the next influential figure is the income level. Despite the gap in incomes in Israel, all in all, income has gone up." He also notes that the Central Bureau of Statistics counts any Israeli staying abroad more than a year as an emigrant, a figure which is somewhat misleading as some spend part of their year abroad and part in Israel, or spend a temporary period abroad to work or study. Many have argued that the housing crisis in Israel that is cited in the recent Berlin protest as a reason to leave could be solved if Israel would only develop in Judea and Samaria, an area currently suffering from a silent Jewish construction freeze by the government despite being 90% unpopulated, and despite the full legality of Israel's presence in the region under international law.